GIGABYTE announces its Green+Black motherboard G1.Sniper B7 which is a LGA1151 socket motherboard, which is for the 6th generation Core “Skylake” processors, having an Intel B150 Express chipset. 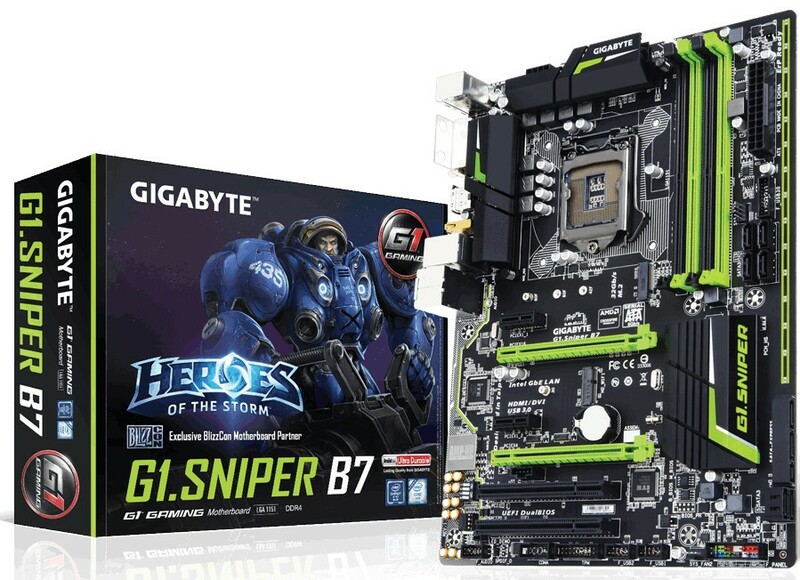 The G1.Sniper B7 by GIGAYTE is an ideal for single GPU built, its power consumption is from a combination of 24-pin ATX and 8-pin EPS power connectors, and offers a 7-phase CPU VRM. 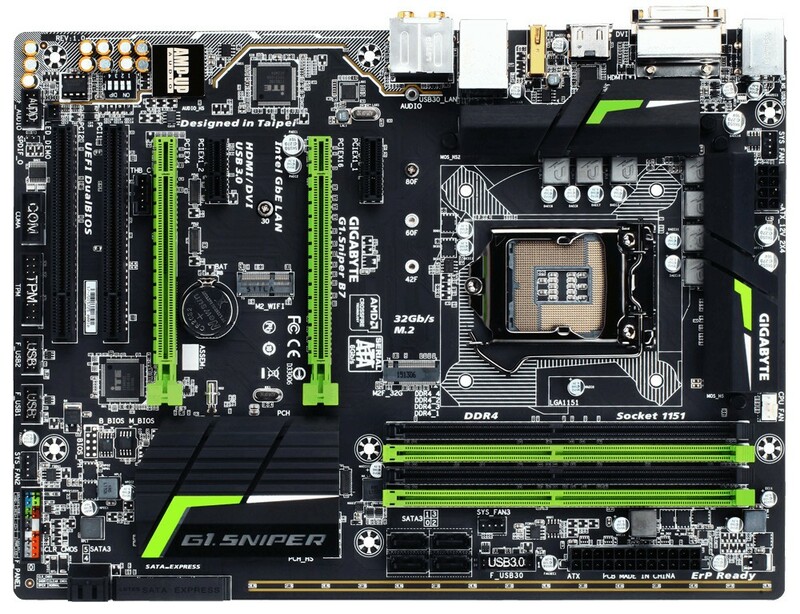 G1.Sniper B7 is featured with four DDR4 DIMM slots, and one PCI-Express 3.0 x16 slot. The second x16 slot is electrical gen 3.0 x4, and wired to the B150 PCH. Both PCIe 3.0 x1 and legacy PCI, and an mPCIe 3.0 x1, with preparation for WLAN antennae on the rear panel, making way for the rest of the expansion area, where as Storage connectivity includes one each of M.2 32 Gb/s and SATA-Express 16 Gb/s; and eight SATA 6 Gb/s ports with networking facility of an Intel i219V gigabit Ethernet controller. There is AMP-Up onboard audio solution combines a 115 dBA SNR CODEC with ground-layer isolation for better Sound Experience. Four USB 3.0 ports are on offer, two on the rear panel, and two by header. Among the above feature it has green LED strip that runs through its length near the front, and dual-UEFI BIOS. The Expected Pricing for the board is aroung Rs.6000-Rs.7000.